Dr. Jennifer Carson is a critical gerontologist who works to envision and develop opportunities for individual and collective growth to combat ageism and improve the inclusion and well-being of elders, with a particular interest in persons living with dementia. 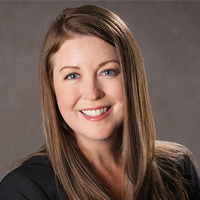 Jennifer brings a commitment to service, collaboration and innovation built upon 30 years of practical experience in the fields of long-term care and aging services, bridging direct care and support, organizational leadership, research, innovation and education. Jennifer is a Research Assistant Professor in the School of Community Health Sciences and Director of the Gerontology Academic Program at the University of Nevada, Reno. In addition, she is a co-creator and cast member of Disrupt Dementia, part of Dr. Bill Thomas' international ChangingAging Tour; co-founder and lead facilitator of the Nevada Alliance to Transform the Culture of Aging; lead facilitator of the Dementia-Friendly Nevada initiative, sponsored by the State of Nevada Aging and Disability Services Division; author and facilitator of Bravo Zulu: Achieving Excellence in Relationship-Centered Care, a program of the Nevada Department of Veterans Services; and an Associate with Cognitive Solutions, LLC. With a strong commitment to partnerships and participatory approaches to research and practice, Jennifer's career and scholarship encompass gerontology, dementia, long-term care, culture change, and leisure and aging. Her educational background includes a BA in Therapeutic Recreation from Eastern Washington University (1998); a MS in Therapeutic Recreation from Clemson University (2003); and a PhD in Recreation and Leisure Studies: Aging, Health and Well-Being Program from the University of Waterloo (2015).